"There is a danger in overstating how motivated the public are by this issue, in comparison to the Westminster Village and political activists...Just as Remain supporters were unreliable voters in June, I wonder just how motivated they will be to turn out on a cold December night for a by-election." The winning camp will inevitably spin the result as a vindication of their own position. If Zac Goldsmith - a Brexiteer - retains one of most pro-Remain constituencies in the country, Leavers will argue that the public back Theresa May in committing the Conservatives to respecting the referendum result, irrespective of how they voted in June. Unusually, we have very little polling evidence to work from. A BMG survey taken a month ago made grim reading for the challengers, with Goldsmith 27% ahead and only a quarter of constituents naming Brexit as their number one issue. Significantly, 43% of Remainers backed Goldsmith. Given those numbers, it is surprising to see Goldsmith trading at backable odds of [1.36], which have fallen steadily from above [2.0] at the start. Were it not for Brexit, this result would seem like a foregone conclusion. Goldsmith is defending an enormous 23K majority and bravely triggered the by-election by keeping to a longstanding promise to defy his party on a matter of profound local importance - the third runway at Heathrow. While his rivals share that position, the former Tory has proven his mettle as a loyal constituency representative. The Independent tag may actually help him. With no challenger from his old party, he's bound to win most local Tories and arguably has greater potential to pick up support from elsewhere. Independence and integrity matters more than ever in an age when voters are ever less party-orientated and contemptuous of career politicians. Plus, there has rarely been a worse time for parties running in opposition to Tories. Theresa May is still enjoying a honeymoon, riding high in national polls and boasting excellent approval ratings. There is simply no evidence of a public mood to punish the government. The argument for backing the Lib Dems is that they are the only clear advocates of a second referendum. In time I think this positioning will play well for them, especially in Con-Lib marginals across the South, just like Richmond Park. Leader Tim Farron was impressive on last week's Question Time and could thrive given more exposure and a possible shift in public opinion towards Remain if and when the economic consequences unfold. Like all third parties, the Lib Dems need a totemic issue to define them. Brexit provides it and, eventually, the negative perceptions developed during the last parliament should fade. However it is way too soon. Any talk of a second referendum, or even voting against Article 50, is greeted with howls of derision and accusations of being anti-democratic. Unless, or until, voters genuinely feel a negative effect from Brexit, Remainers are unlikely to make electoral progress. There is a danger in overstating how motivated the public are by this issue, in comparison to the Westminster Village and political activists, who are thinking seriously about the longer-term ramifications. Remain ultimately lost due to the lack of enthusiasm among it's supporters. There is no grassroots movement to reverse Brexit, at least yet. Just as Remain supporters were unreliable voters in June, I wonder just how motivated they will be to turn out on a cold December night for a by-election. And given how far behind they start this contest, the Lib Dems really need to maximise every possible vote - including tactical support - to have a chance. Such an achievement looks extremely ambitious. Farron remains relatively unknown and the Lib Dem brand is still tainted by their time in government, alongside the Tories. During their heyday between 1997 and 2010, they won seats like Richmond by squeezing the Labour vote - which more than doubled between 2010 and 2015, presumably because previous tactical supporters went home. I'm not at all convinced that the British Left is ready to forgive the Lib Dems for propping up their mortal enemies and, in prominent rail activist Christian Wolmar, Labour are putting up a decent candidate. Perhaps over time the Lib Dems, as their respective party platforms become clearer to the wider public, will eat into Labour's share. After all, around 70% of Labour voters backed Remain and their MPs are largely ultra-Europhile. With Labour split and Jeremy Corbyn highly unlikely to become a serious challenger for PM, the Lib Dems have a strong claim to be the natural home for Remainers. We are not in that place yet, though. One party is in total control of British politics and even defecting Tory MPs have little to fear from the opposition parties. 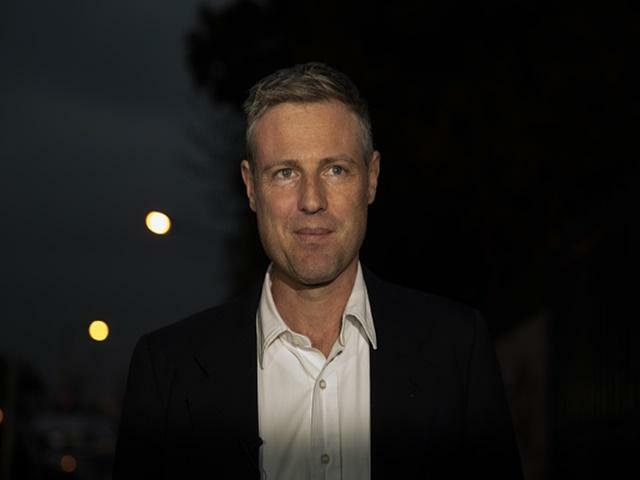 Expect Goldsmith to win with plenty to spare.